Every MLB ballpark has its own unique experience and food is integral to the game day experience. 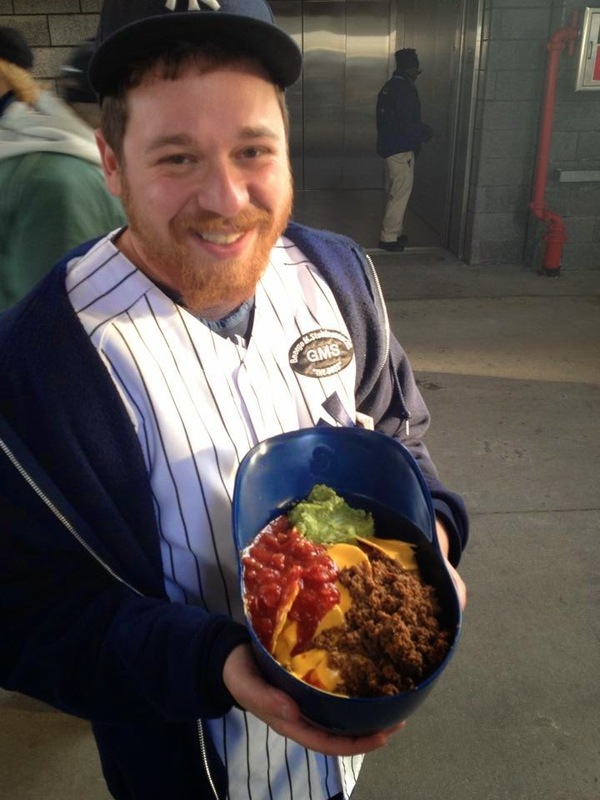 Through my years of fandom I’ve had the pleasure of trying as much food as I can at Yankee Stadium. 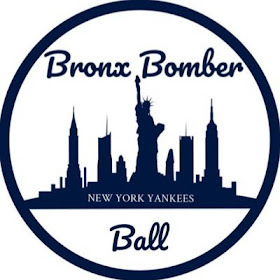 While Yankee Stadium might not have the crazy food options such as Primanti Bros. Sandwiches, Rocky Mountain Oysters, The Schmitter, Fish Tacos and Waffle House to name a few there are some tasty options at the Cathedral of Baseball. Here are my opinions on what to get and what to pass when you visit Yankee Stadium. For this super opinionated article I’ll only be covering what is accessible to everyone, luxury boxes. luxury seats, lounges and restaurants are not included. Lobel’s Steak Sandwich: At least once in your visits to Yankee Stadium you should try this. Dipped in au jus and served on an onion roll this sandwich is just beef and bread and it’s still delicious. I recommend asking for some horseradish sauce as well. It is going to set you back a pretty penny (approximately $15) but is worth it for one of these hand-carved sandwiches. Garlic Fries: Once you get a whiff of garlic fries you’re going to end up buying your own. The enticing aroma of garlic, salt, olive oil and parsley hits the air as soon as it is poured on hot French fries. Bring breath mints and devour them all. Carl’s Steak Cheesesteak: Located in a few kiosks and stands around the stadium grab these morsels early, as lines tend to build up. These foot long sandwiches are filling and worth the $10.75. Served your way I usually get mine with Cheez Whiz, Onions and if I’m particularly adventurous some hot peppers. Hot dogs: You can’t really go wrong with a hot dog at a baseball game. It is an American classic. Yankee Stadium offers three types Nathan’s hot dogs in a variety of variations. 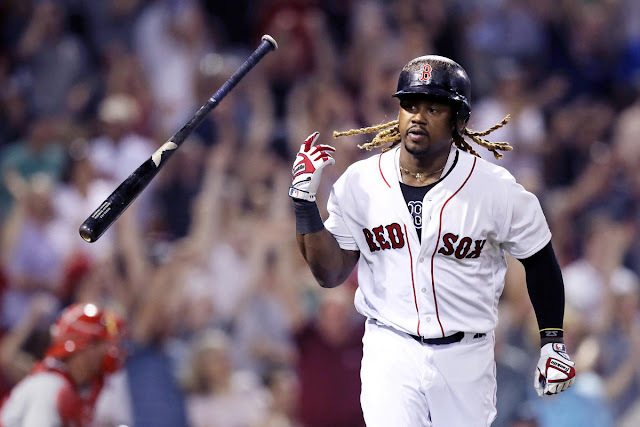 There is the classic regular “dirty water dog,” regular hot dogs on rollers, foot long hot dogs on rollers and grilled natural casing hot dogs. For my money I either go with a foot long hotdog with red onion sauce and sauerkraut or a natural casing hot dog with spicy brown mustard. The foot long will fill you up and is only $0.50 more than a regular hot dog. As for the grilled natural casing hot dog there is something intensely satisfying about hearing it “snap” as you bite into it. Wholly Guacamole Nachos: For those who don’t mind getting their hands dirty you can’t go wrong with nachos. You build your own with your choice of beef, salsa, guacamole, sour cream, nacho cheese and jalapeno. 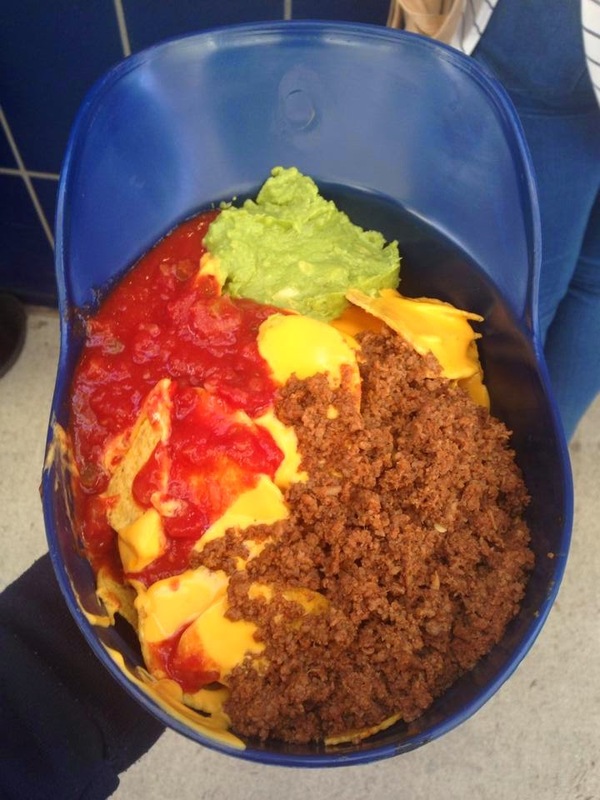 If you would like to feed everyone in your section I suggest getting a nacho helmet. It feels like a you’re holding a baby and will literally fit an adult head (clean it first). Premio Sausage & Peppers: An acceptable substitution for a hot dog. Visit a stand or kiosk to pick up a Premio Italian Sausage. You can choose either sweet or hot sausage and get it topped with a mix of grilled onion and peppers. I suggest visiting a kiosk such as NY Grill and picking up a grilled sausage as opposed to stands that serve it on rollers. 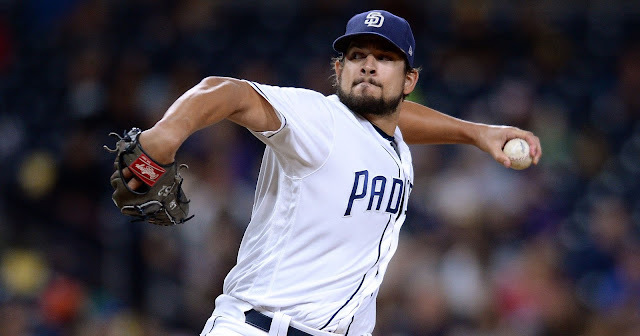 Brother Jimmy’s BBQ: Perhaps the Yankees are playing a southern team and you’d like to experience their culture or maybe you just really want a delicious pulled pork sandwich. Either way head to Brother Jimmy’s BBQ where you can grab excellent pulled pork sandwiches and nachos served with vinegar BBQ sauce and a side of coleslaw. Unique Creations: Interesting options for changing up from the normal ballpark cuisine. Cheddar, Bacon & Waffle Dog: Part of the Chicken & Waffles stand that opened in 2014 think of it as a corndog but with waffle batter. It’s served with maple syrup mustard and is definitely a worth a try. Noodle bowls: You won’t confuse this with a dinner in Chinatown but these bowls are a savory option if you’re looking to change it up from the normal stadium cuisine. Based on experience I have some advice, try to eat over the box or you’re going to end up with sauce all over your jersey. You’re better off passing: There is better value and taste elsewhere. Burgers & Chicken Sandwiches: Burgers and cheeseburgers sold at NY Grill locations have no toppings and generally underwhelming. Chicken sandwiches similarly lack toppings and are just chicken on a bun. It’s sad. Bazzini Peanuts & Chips of any kind: I’ve accepted the fact that I am overpaying for most food items at Yankee Stadium but these are two items I will never buy because of value. Peanuts are a baseball staple but $5 for a bag is ludicrous. Chips are an even worse offender, you could buy a family size bag for $2.99 but at Yankee Stadium you’ll shell out $4.50 for a smaller bag. If you plan on snacking at the game you are better off hitting a deli or supermarket before arriving and buying a few bags of peanuts and chips for $1 each. So that’s my firsthand experience at Yankee Stadium, but I certainly encourage you all to branch out and explore the food options! I look forward to attending more Yankees games and expanding my knowledge base of the food options at our beloved Yankee Stadium.